The Intercontinental exchange has announced its official plans to launch a physical bitcoin futures market. To be the focus point of the new Bakkt platform which the company is launching, bitcoin futures will also be physically settled thanks to number of key partnerships formed with the likes of Starbucks, Microsoft and BCG. The Bakkt platform will offer users access to bitcoin futures on a 24 hour timescale. Fulfillment will be on a physical scale as Starbucks, one of the leading brands associated with the project, will allow digital assets to be converted to USD which can be spent at Starbucks branch’s according to VP Maria Smith of Partnerships and Payments. The final goal of the partnership remains to allow digital asset holders to seamlessly convert their crypto into physical cash. Furthermore, many believe[lockercat]reputation of the ICE brand will also serve as a catalyst for many institutional investors to invest in the crypto ecosystem. While currently crypto technology has been marred with connections to drug and exchange of illegal services, with ICE stepping up to secure and manage the physical warehouses connected to the fulfillment of bitcoin futures, we are predicted huge influx of new liquidity from traditional investors who may have found markets inaccessible previously. 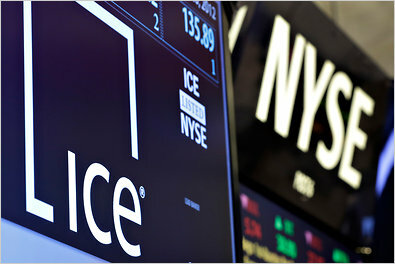 ICE also has considerable influence over customers considering its ownership of the New York Stock Exchange, giving it considerable credibility. “In bringing regulated, connected infrastructure together with institutional and consumer applications for digital assets, we aim to build confidence in the asset class on a global scale, consistent with our track record of bringing transparency and trust to previously unregulated markets,” – Jeffrey C. Sprecher (founder, chairman, and CEO) Intercontinental Exchange. The project is set to go live by November if development remains on track.